Harmony and balance, as well as rhythm and order in nature, have been a source of inspiration for artists over centuries. Debra Ramsay, an American contemporary painter, found it in the earth realm when she witnessed the changing seasons. 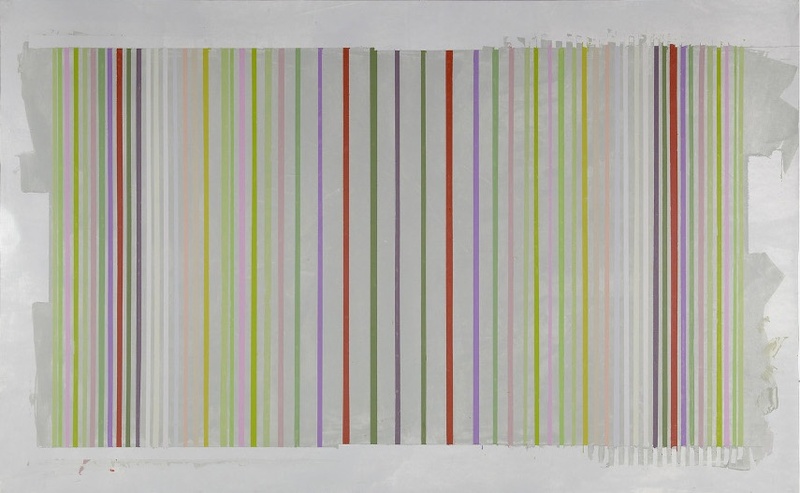 Rather than creating pieces that would allude to underlying meanings, emotions, or narratives, she focuses on some of the basic elements of an artwork – line, form, tone, pattern and color making the nature-inspired pieces of art that recall color field paintings, especially the stripe works made by Gene Davis in the 1960s. In the spring of 2013, Ramsay began an ambitious project entitled Landscape as Time. The project had roots in photographs shot during nature walks the artist took while on a residency in the town of New Berlin in upstate New York. Away from chaos and crowds and toward a place where she could witness the wisdom and grace of nature the artist documented the shifting colors of landscapes, fruit, leaves, and trees through the seasons of a calendar year. She photographed the chosen landscape eighteen times at intervals of one hundred paces on at least four occasions throughout the year. Back in the studio, she translated the collected colors from the photographs into the pigments she wanted via a computer application. The resulting output presents an abstraction of nature’s cycles, informed by mathematics and explored through geometry and color. Her vertical clusters and horizontal stacks show how the landscape changes from spring through winter. 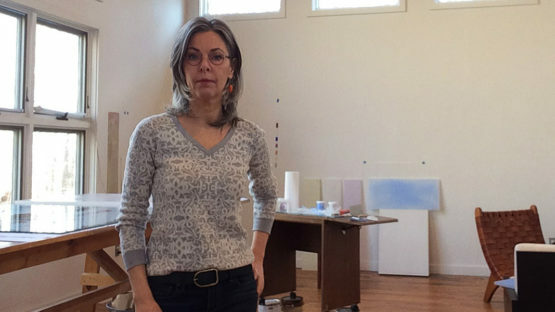 Educated at Pratt Institute, Brooklyn College, and Oregon State University, Debra Ramsay has created thoughtful, meditative and abstract body of work engaged with rule-based systems and mathematics. She was awarded a fellowship at BAU Institute in Otranto, Italy in 2012, a residency at the Golden Foundation in New Berlin, NY in 2013 and a residency at the Josef and Anni Albers Foundation in 2016. Her work has been included in numerous collective shows in such galleries as Pentimenti Gallery, Philadelphia, and Pocket Utopia Gallery, New York. 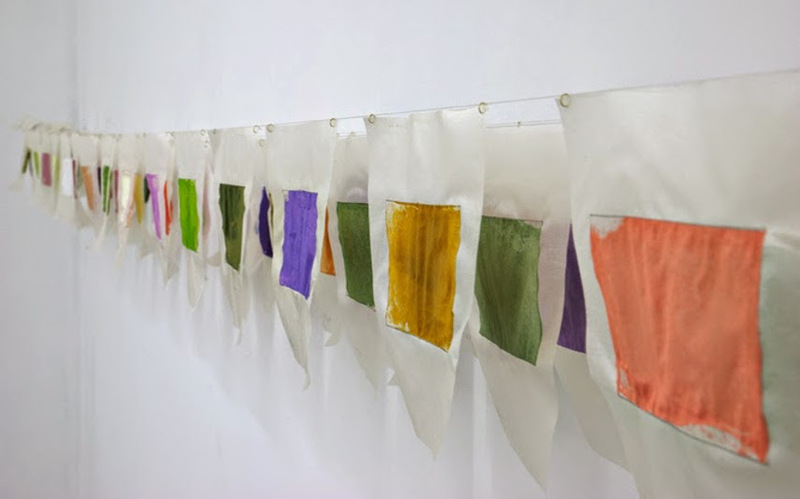 Her debut solo show Desire Lines was held at Blank Space Art in New York in 2012. In September 2016, Ramsay will open solo exhibition at ODETTA gallery in Brooklyn. The parallels between geometry and art can be seen in many of Ramsay’s pieces. Using mathematics as a tool in her practice, she often creates serially related works such as paintings from Measuring Parallels series. 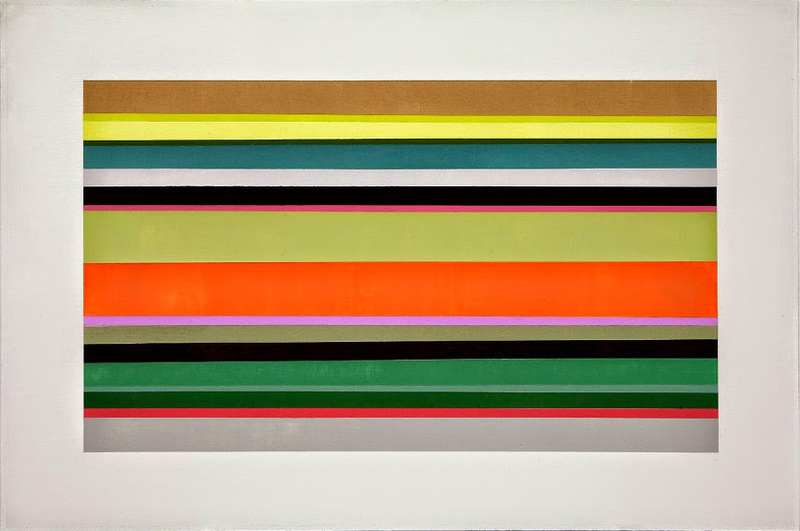 She applies geometry and rule-based systems to the abstract interpretation of color, space, and time. The shape and the placement of color in her pieces evoke meditative and transcendent feelings of sublimity but also leave the viewers to create their own stories. The artist is represented by IdeelArt since March 2016. Debra Ramsay lives and works in NY.